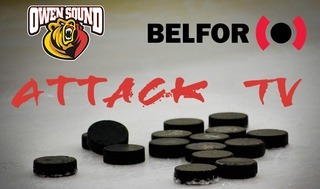 The Owen Sound Attack are set to play 2 games at home against the Erie Otters this weekend. Game 1 of the back-to-back takes place on Saturday November 10th at 7:30pm, while game 2 goes Sunday after at 2:00pm. Saturday night’s game will be the Attack’s Military Appreciation game. There will be a ceremonial puck drop and an abbreviated Remembrance Day ceremony prior to the game, and the Attack will be wearing commemorative military jerseys. The special jerseys will be auctioned off on CHL Auctions beginning on Monday November 12th. All proceeds from the auctions will be given to the Royal Canadian Legion, Branch 6 in Owen Sound. Sunday afternoon’s game marks the 2nd IPC Sunday of the year, meaning fans will again have the opportunity to skate with the team following the game, and receive autographs from their favourite players. Fans are reminded that everyone must wear skates to be allowed on the ice surface, and anyone under the age of 16 will be required to wear a CSA approved helmet. The Otters have been on a bit of a roller coaster to start their season, but have been playing well as of late. They won their season opener against Flint by a whopping score of 12-1, however they lost 6 of their next 7 games in regulation, and lost the 7th in overtime. Since then, they have bounced back in a big way, winning 7 of their last 9 games, including 6 wins in either overtime or shootout. The Otters currently sit 4th in the Midwest Division, 3 points behind the Attack, with a record of 8-8-1-0. Heading into the weekend, the Attack have lost 2 straight games, however picked up a point in Saturday’s shootout loss to London. The Bears currently have a record of 9-7-0-2, which is good enough for 3rd in the Midwest, and places them only 2 points behind both London and Guelph in the standings. Otters’ over-age captain Kyle Maksimovich currently leads the team in scoring, with 10 goals and 13 assists in 17 games played. NHL draft eligible left-winger Emmett Sproule, from nearby Collingwood Ontario, has points in 3 of his last 4 games, and currently has 9 through 17 games. 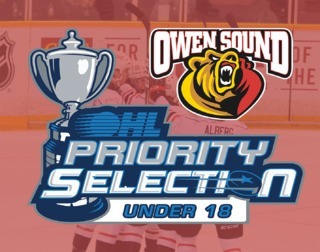 4th overall pick in the 2018 OHL Draft, defenceman Jamie Drysdale has been incredible to start the year, already tallying 9 points in 14 games as a rookie. 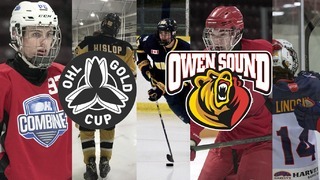 Drysdale however is currently away at the World U17 Challenge Tournament with Attack defenceman Nolan Seed and Attack prospect Josh Barnes, where he is the captain of Team Black; so Attack fans will have to wait to get a glimpse of the Otters’ star defenceman. Attack over-ager Kevin Hancock will look to continue his hot streak, after recently being named the Attack’s Huron Tractor Supply Player of the Week, as well as the OHL’s On the Run Player of the Week. Hancock sits 4th in league scoring heading into the weekend, with 30 points in 18 games this season. 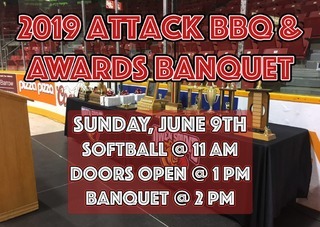 Fans can purchase tickets for both games at the MacVicar & McComb ReMax Attack Box Office, online at www.attackhockey.com, or by calling 519-371-7452.